We work to improve your lives by advocating on your behalf, protecting your rights and creating safer working conditions. Helping to negotiate collective agreements. Assisting with grievances, including arbitration hearings. Taking disputes to the Ontario Labour Relations Board. Protecting you from layoffs and outsourcing. Resolving Workplace Safety & Insurance Board (WSIB) claims and providing representation at appeals for members whose claims are denied. Monitoring pay equity and pursuing pay equity settlements. Advocating for improvements to workplace health and safety laws. Hosting bargaining and education conferences. Encouraging community involvement and political action through the Member Leadership and Development Program (MLD). Lobbying and working with the Ontario provincial government to strengthen our public healthcare system. Running public campaigns to raise awareness about important healthcare issues. 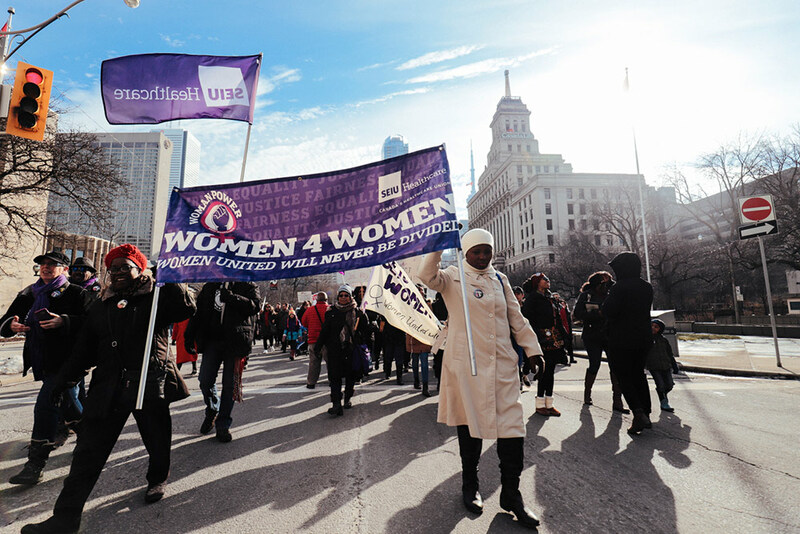 Every workplace represented by SEIU Healthcare has union stewards who are responsible for ensuring that employers who do not violate the terms of their contract. Stewards are coworkers of yours who volunteer their time and are elected or appointed. It’s their job to inform employees of their rights in the workplace. It is also their responsibility to support workers through the grievance process or defend them when they are abused or victimized. It takes a team of dedicated individuals who love what they do to represent Canada’s healthcare union and ensure that your voices are always heard. 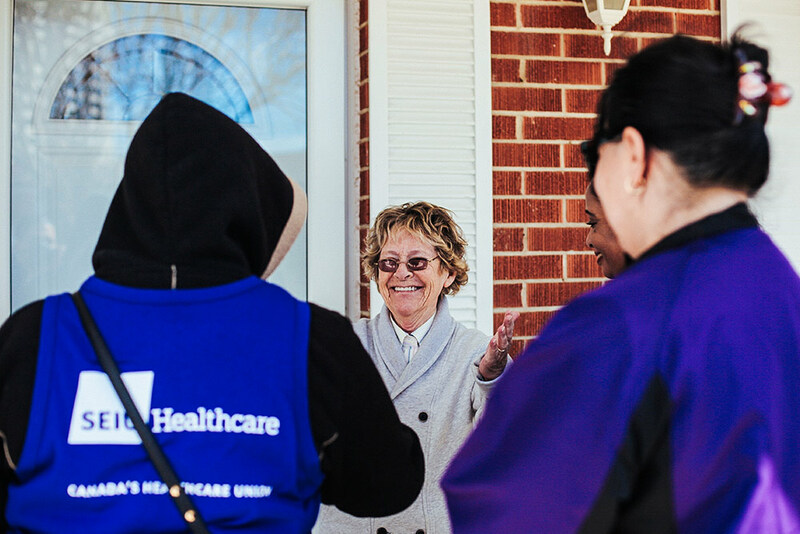 Union representatives are SEIU Healthcare staff members who always have your back. From negotiating at the bargaining table to helping you file a grievance, our highly dedicated team of union representatives know the ins and outs of everything there is to know about labour relations. They will be by your side making sure you have our support. 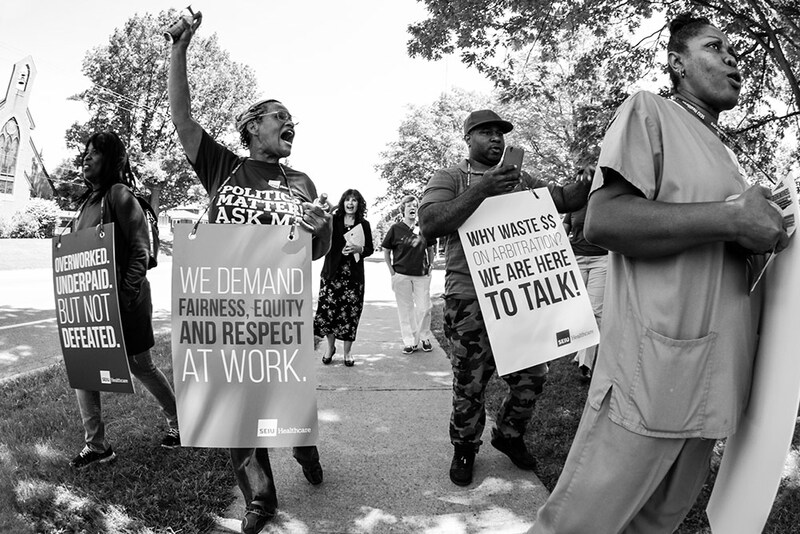 Our Organizing Team reaches out to those who have decided to stand up for their right to work in a fair, respectful and safe work environment. As a union, we believe in fairness and justice for all working people. Unfortunately, many hard-working individuals continue to be taken advantage of. From not being treated with respect and dignity in their workplaces to not being able to provide for their families at the profit of their employers, so many of Ontario workers deserve better. We believe that together as a union, our voices and actions can make a difference, not just for today’s workers, but also for generations to come. To get the most out of your union and experience real results, you must do more than just pay dues and attend membership meetings. Through empowerment, we encourage you to be involved and engaged in your union. Whether it’s teaching useful skills through the Leadership Academy, getting everyone together at a BBQ event or supporting you at your workplace, we are determined to show off our purple pride! SEIU Healthcare’s Nursing Division advocates for nurses in Ontario regarding professional practices, scope of practice and standards on the delivery of care by nurses. The Nursing Division is committed to providing Professional Liability Protection for all our RPNs, RNs, and nurse practitioners that are in good standing. Educating you on the benefits of membership in SEIU Healthcare. Giving advice regarding your rights under the collective agreement, workplace related legislation and issues in your workplace. Informing you about campaigns, events, meetings and other union initiatives. Assisting stewards in dealing with workplace issues, including filing and processing grievances. Providing fast, efficient, and effective assistance by monitoring trends and emerging issues at the earliest possible stage. 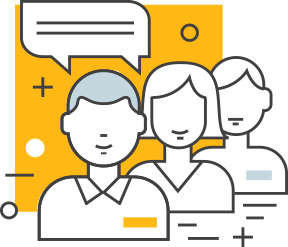 Providing union contact information, as well as giving you a place to update your contact information to ensure we can reach you.